UNCG Welcomes New Faculty for Academic Year 2018-2019! 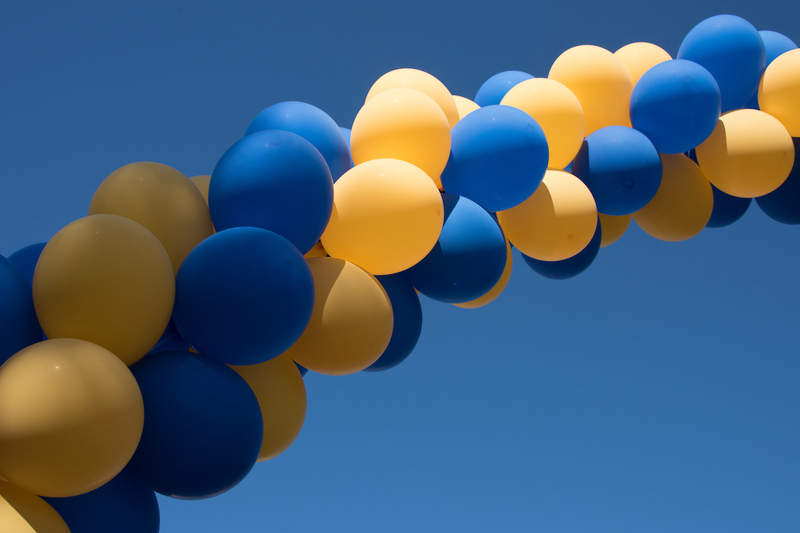 We are delighted to welcome the following new faculty to the UNC Greensboro community. Their credentials and accomplishments give us confidence that they will hit the ground running and continue our tradition of excellence in teaching and research. You only need to walk through the doors of the UNCG School of Education’s SELF Design Studio Makerspace to know innovative things are happening there. Newly created robots of various shapes and sizes line the walls. Drawings with spinning flowers, historical story boxes and “augmented reality” postcards occupy shelves. Hanging on the back of a chair is a talking sports coat. Here, in the SELF studio, in-service and pre-service teachers learn to use a variety of emerging technologies and tools including 3D printers, microcomputers, robotics and circuitry kits, as well as traditional art supplies. A School of Education student performing an experiment at the Science Everywhere festival. 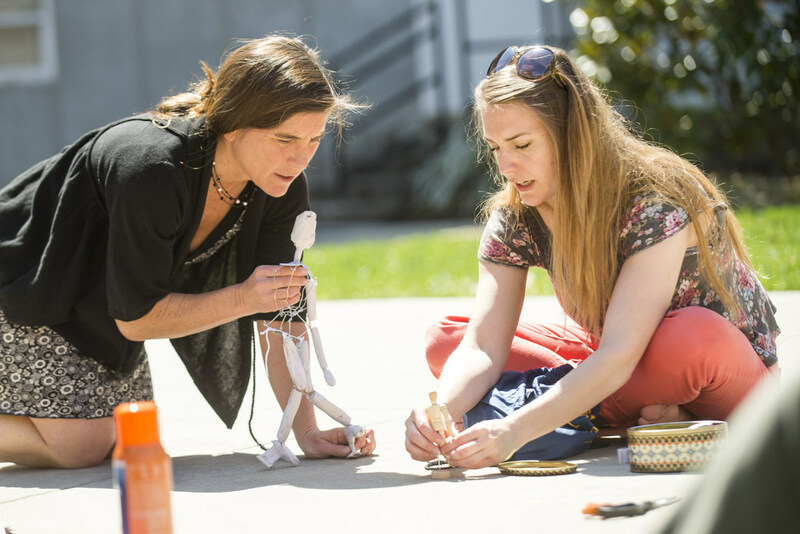 Makerspaces are a growing part of school environments, and the UNCG School of Education is ahead of the curve with the SELF Design Studio (SDS). It has been in operation for more than five years and is always moving forward with new ideas and contributions to educational environments. Each semester, several UNCG students serve as “makers in residence.” During their weekly volunteer hours, they learn to use a variety of makerspace tools and mentor other pre-service teachers. The Spartans who develop their skills at the SELF studio expand “maker” culture throughout local schools as they move into teaching internships. Through the Transforming Teaching Through Technology (T4) grant, UNCG has installed makerspaces in four elementary schools, two middle schools and one high school in Guilford and Forsyth Counties. The newest will be at the Moss Street Partnership School, opening in August 2018. SDS makers and faculty advisors ensure that creation and exploration continue through an ever-expanding variety of mediums. One day, UNCG pre-service teachers may be helping elementary school students write non-linear stories with technological enhancements and the next day, taking them on adventures via virtual reality technology ‒ to coral reef ecosystems, the International Space Station, inside a human heart or to the Great Wall of China. 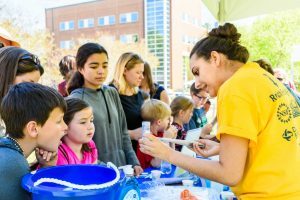 The SELF Design Studio is also an integral part of UNCG’s annual Science Everywhere festival. The 2018 festival drew more than 4,000 kids to campus to participate in hands-on learning projects in many different locations. 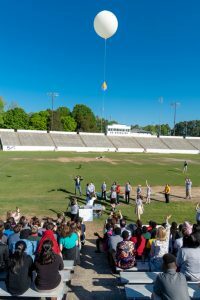 Kiser Middle School students and SELF Design Studio collaborators watch as a high-altitude weather balloon and spacecraft ascend. But that’s not all; SDS is the host of the Writing and Robotics summer camp and in May, the studio staff and makers-in-residence helped Kiser Middle School’s meteorology club launch a high-altitude weather balloon into the stratosphere for the second year. The SELF team plans to work with the meteorology club for another launch in 2019. For more information about SELF Design Studio workshops, which include coding, 3D printing, video game design, “augmented reality” and more, visit the website. When are Dr. Mike Perko’s students ready to engage in their field as professionals? The professor in UNCG’s Department of Public Health Education says it’s the first time they enter his classroom and make an observation about health. Perko received the 2018 UNC Board of Governors Award for Excellence in Teaching, an honor bestowed on only 17 recipients representing all of North Carolina’s public universities. Perko works with a set of core values that he passes down to his students – he calls it “The Seven Cs.” Courage, community, conceptualization, creativity, collaboration, collegiality, compassion. And the students respond to his approach. They comment on his generosity, his approachability and how his ability to tell a good story piques their interest and supports their engagement in a topic. Perko has served as graduate program director for both the master’s and doctoral programs in public health and teaches in both undergraduate and graduate program. He has been the advisor for dissertations on such diverse topics as opioid overdose prevention, the physical activity of nurses and how organization structure affects the physical health of long-haul truck drivers. His own research activity spans from worksite wellness and health initiatives to athletes’ use of dietary supplements and performance enhancing drugs to diabetes prevention to smoking cessation studies and programs. He is the author of “The Secrets of America’s Healthiest Companies” and “Can You Win Without Supplements?” as well as a children’s book, “Cornered!” ‒ in which a turtle named Sheldon addresses a bullying problem. Skilled graduate and undergraduate mentors reinforce the productive and welcoming atmosphere that defines UNC Greensboro. An open connection between faculty and students also fuels student accomplishments in research, and propels the academic programs to new heights. Quality mentorship is present throughout the campus in all schools and fields of study. Two mentors were recognized this year by the provost and chancellor for their dedication to UNCG graduate and undergraduate research.